*AET Wakefield win 4-3 in a penalty shoot out! Harrogate Town AFC have just learnt that Wakefield FC have withdrawn from the West Riding County Cup. As a consequence, Harrogate Town have now been given a bye to the Quarter Final and will face the winners of the Albion Sports v Ossett Albion match (to be played on the 7th December). 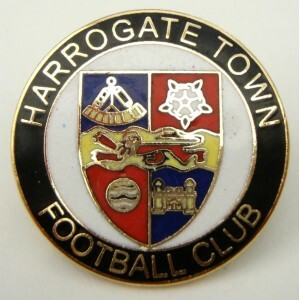 As per normal for a Harrogate Town cup match, we will be playing away. The quarter final is provisionally scheduled for the 4th February 2012. Further information on Town’s opponants will be given via this website when known. EEEEYYY!! Everyone's picked up on the away tie thing now!!! Might aswell go on to win the competition now 3 games to win a trophy sounds good to me!